Myopia or short-sightedness can be inherited by children with parents or grandparents that are short-sighted. For the longest time, we have been looking for ways to do away with our spectacles through LASIK and other refractive procedures. Personally, as an eye doctor, I strongly suggest focusing instead on how to slow down myopia rates in our children. Why let our eyes get hurt then go fix it? Isn’t it better to just prevent it in the first place? When our eye is constantly called upon to focus on near objects – such as when reading, using our electronic devices, our eye muscles are in a contracted state which send signals to our eye to grow and elongate. This causes the eye to soon grow into a myopic length and we will require the use of spectacles. High myopia is also dangerous because it leads to multiple complications later in life. The higher the myopia, the more likely complications will arise. 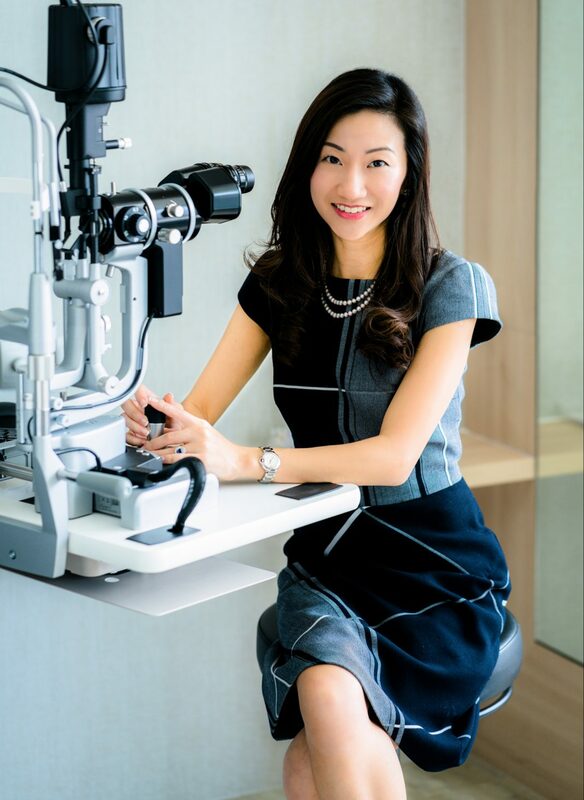 In myopia, our eyeball is elongated and stretched out causing areas of retinal thinning in both central and peripheral areas. Central retinal thinning may result in areas of cell loss or atrophy, leading to decreased central vision. Thinning can also lead to cracks in our retina from which abnormal blood vessels bleed into the retina. In the periphery, retinal thinning leads to retinal tears and holes which may eventually result in retinal detachment. This devastating complication may lead to vision loss even if repaired surgically. Even in cases of low to moderate myopia, there is still an increased risk of cataract formation, glaucoma and epiretinal membranes. All of which require early detection and surgical intervention to prevent visual loss. The way I see it, the best way to avoid these complications later in life is prevent myopia at its outset. Did you know that there’s actually a clinically researched eyedrop that can slow down short-sightedness? Many of my patients don’t know about this, and I’m always trying to spread the word. There’s more info at my clinic website. The good part is that at this dosage, it has no side effects in 99% of users. Yes, the side effects of glare and difficulty reading hardly ever happen with this dose of the eyedrop. 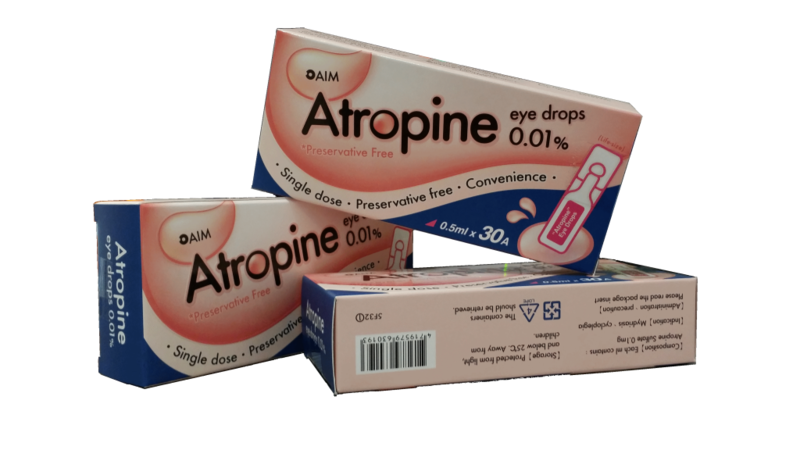 I’m a mother of 2 young kids and I’m planning to start them on this eyedrop THE VERY MOMENT they show signs of myopia! It’s the least I can do as a parent. However, do note that this eyedrop may not work in everyone. Some might need a bigger dosage but doing so leads to definite glare and difficulty reading. Of course, there are ways to counter this by using transitional bifocal spectacles. 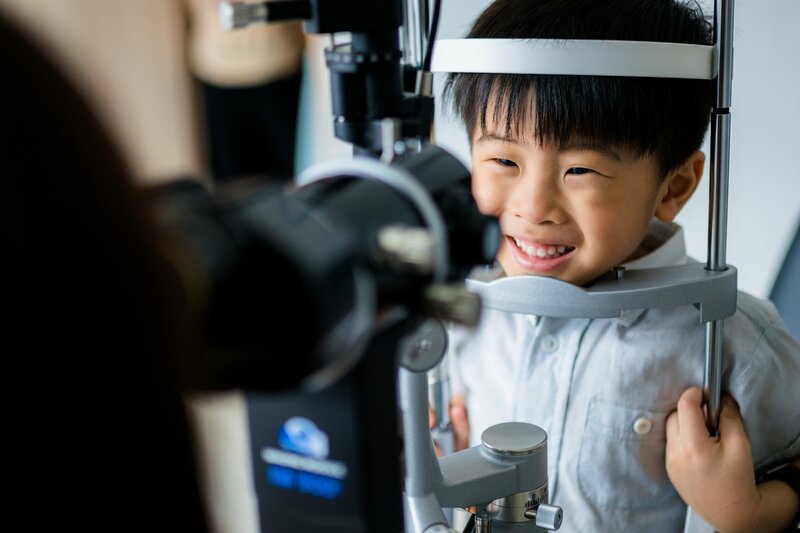 Get your kids to go for regular eye checkups at an eye doctor and have them assess his/her condition. Also, do remember that these eyedrops only work if they are started early. 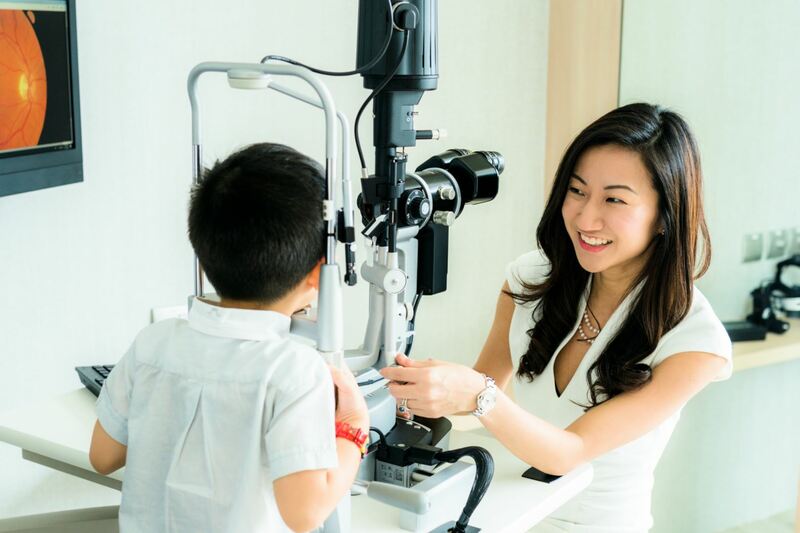 So, be sure to have regular eye screening for your children in order to detect early myopia formation. Don’t Rely On The Eyedrops Completely! Unfortunately, there is no good way to cut out myopia completely. We can only try to curtail it. As parents who are short-sighted ourselves, we know we’d take better care of our eyes if we can turn back time. So let’s not let our children suffer the same! Maintain full arms’ length from your device to your eyes. Maintain a good posture when doing near work. Ensure good lighting in your surroundings. Decrease the glare or light intensity from your device. Take frequent breaks by looking out the window at a faraway object every half hour. Avoid reading in a moving vehicle. Encourage more outdoor play and exposure to natural sunlight. No matter how hard we strive to achieve these good habits, ultimately the total amount of time our children spend on their electronic device is the limiting factor. Children get myopic because of prolonged and unsparing use of these devices. 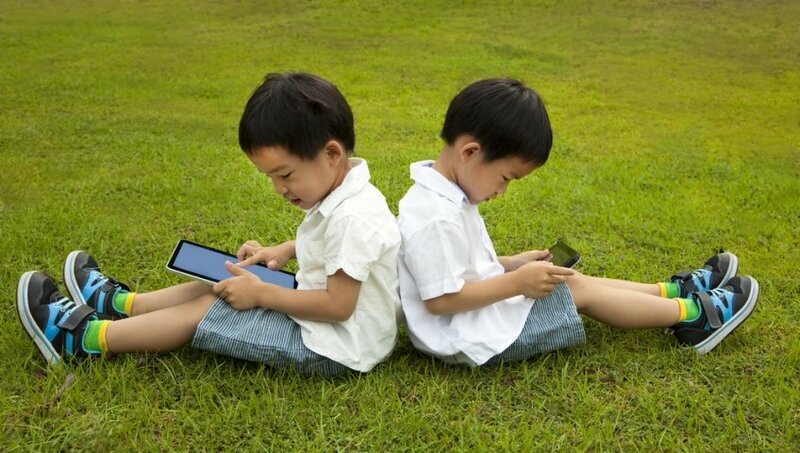 Perhaps a cap on their device usage will go a long way in preventing any increase in their myopia? Please share this article with other parents. You might save a child’s eyesight.